Jason Biggs will be watching wistfully from afar when Season 3 of "Orange Is The New Black" premieres on June 12. But Biggs, who's starring in the Broadway play "The Heidi Chronicles," told HuffPost Live on Thursday that his character Larry could return in future seasons. "It's not a Larry season," he told host Josh Zepps. 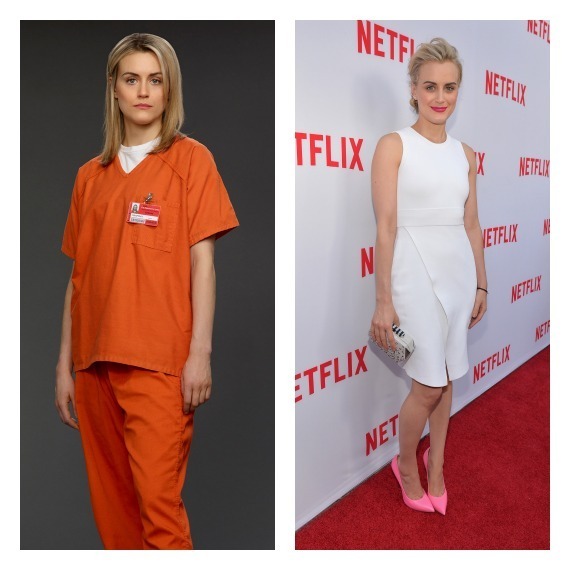 "They have a lot of characters to service on that show and, at the end of the day, it's a women's prison show. Larry is not a woman or in prison. But the good news is with a show like that, there's always the possibility that he could come back. And I would go back in a heartbeat." The show has been devoured by fans since premiering on Netflix in 2013. It made news recently when the Emmys deemed the show a drama for awards purposes, going against Netflix's wishes to put it in the comedy category. Netflix's other smash hit, "House of Cards," is also a drama, and the two will compete against each if nominated for Best Drama. No matter the classification, Biggs has faith the show will still be great. "I'm actually really excited to see Season 3, and talking to a bunch of people over there, I think it's going to be pretty awesome," he said. Watch the full HuffPost Live conversation here.